I remember watching Tanya Burr's birthday makeup look in 2014 and thinking I had to buy these MAC Prep + Prime Highlighting pens stat. Then, of course, I forgot. Finally though, I remembered them and got two shades : Radiant Rose and Bright Forecast (€26.00). What makes these pens unique in my opinion, is their ability to mix coverage and highlight, whilst blending in seamlessly. They don't crease and stay fresh-looking the entire day. Bright Forecast is a mid tone peachy color, perfect to cover dark circles. I apply this in the inner corners of my eyes. This really cancels out the blue and highlights the area as well. Radiant Rose is a light pink, like Urban Decay's Sin in liquid form. After Bright Forecast, I apply this in a V to highlight my cheekbones and the area under my eyes. I stay away from the inner corners ; the pink would make the blue of my under-eye circles stand out more. 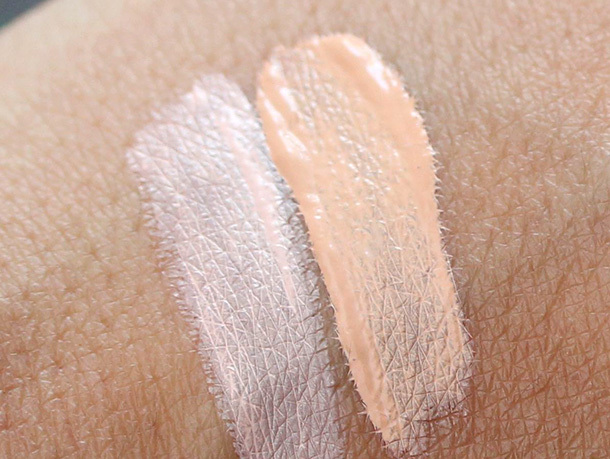 (As I couldn't get my lightning perfect to get the colors come across, you can find a perfect swatch here, by Karen from Makeup & Beauty Blog). I now apply a little bit of foundation under my eyes first, which is something I didn't do before. 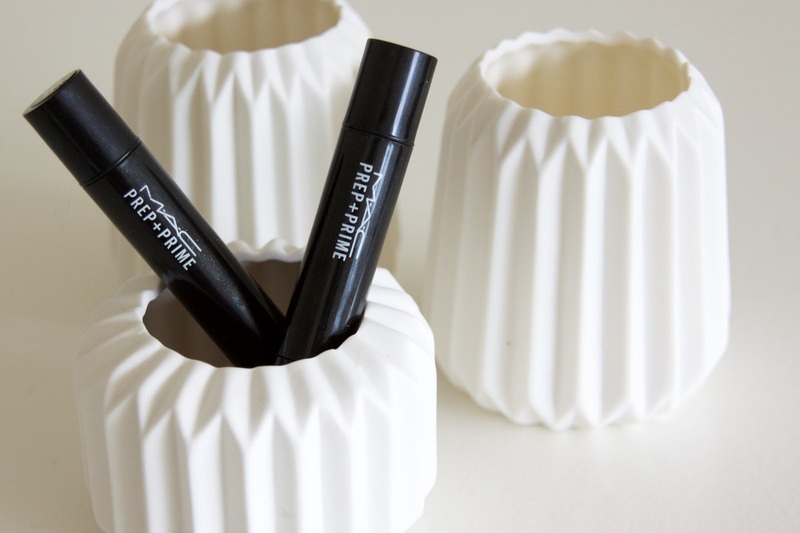 A little bit of your foundation provides a 'base' for the pens ; as they are still highlighters, coverage for people with very dark circles *raises hands* can be insufficient. I absolutely love these pens and the way they make my under-eye area look fresh the entire day. Have you tried them before? What are your thoughts?